I am pretty excited (and honored to be invited back) to speak at CES International in Las Vegas again this year. My presentation details are below in case you are going to CES and can attend. But, I’m also keynoting a VIP Reception that same night. it’s a private event with a party (cocktails / food) after. It should be totally fun. It’s sponsored by the Microsoft Perspective Pixel Team, Avnet, and hosted at The Integration Center. It’s free and transportation to and from the CES conference center is provided. I have provided the Details and registration link and private code below. 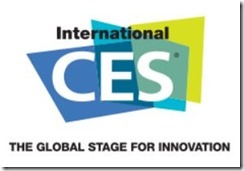 You are invited to attend a VIP reception at CES 2014 hosted by Perceptive Pixel (PPI) by Microsoft and Avnet. The International CES Conference covers all things groundbreaking, market-leading and pioneering in the consumer electronics (CE) industry and PPI will be there to showcase how you can leverage our devices to redefine your meeting experiences. The reception hosted at the Integration Center in Las Vegas brings together industry-leading companies and ideas under one roof. The event will kick off with a special keynote presentation from Tim Huckaby on “The Engaging User Experience & the Natural User Interface”. This demo focused keynote will take an amusing look at the past and take an impressive look at some of the best NUI software being built today and into the immediate future and will even delve into the NUI of the future. A cocktail reception will immediately follow the keynote, where you will have the opportunity to meet with key executives from Microsoft and Avnet to learn more about how we are working together to drive innovation and collaboration in the industry while networking with fellow CES attendees. You will also have an opportunity to see demos and learn how PPI is enabling organizations to spark creativity, ignite collaborative power, showcase their best. Please note that registration requires a Microsoft account to register. If you use Hotmail, SkyDrive, Xbox LIVE, or a number of other products you already have a Microsoft Account. Don’t have a Microsoft account? Sign up now to create your profile and save time for future registrations. Session: User Interface Innovation: What’s on the Horizon? Gesture control has moved from videogame consoles to PCs and TVs and it is setting its sights on your car’s dashboard. Is 2014 the year of gesture? Will kinetics, facial recognition, eye tracking and brain control make the cut or die on the vine?